Welcome to the JFCS video gallery. Please view our featured videos below or browse all of our videos by category. After facing persecution, tens of thousands of Emigres from the former Soviet Union came to rebuild their lives in the Bay Area. JFCS has helped pave the way for Emigre families and the Emigre community is giving back. Enjoy the little things in life because one day you'll look back and realize they were the big things. JFCS serves as the hub for major fire recovery efforts after the incredible destruction of the North Bay fires. Thousands were left homeless, jobless, injured and emotionally scarred, but JFCS is here for them for the long haul. This amazing group of third-generation descendants of Holocaust survivors is standing up against hate and inspiring moral courage and social responsibility in future generations. Ruth was 96 when her husband died, and she was left totally alone. Watch and see how you can help seniors like her. After battling disease and major surgery, Max is beating the odds and living independently at home, with the help and companionship of his beloved caregiver from JFCS' Seniors At Home. Modern families come together in amazing ways. This is the tale of a perfect match. With the loving support of JFCS’ Adoption Connection program, Barak and Massimo are building their growing family through adoption. The Gary Shupin Independent Living Community includes a residential community in San Francisco, skills training, a community of peers, and a social club for residents and non-residents alike. Learn about just a few of the amazing transformations that have happened when parents and their kids come to Parents Place for help. These seven individuals—Jared, Jeff, Gal, Allen, Linda, Cecelia, and David--have gotten back on their feet with the support of JFCS' Emergency Family Assistance program. As children of Holocaust survivors, Joyce Newstat and Susan Lowenberg lovingly honor their own family legacies, and together set the example for moral courage, social justice, and community service. JFCS’ Dream Program offered Michelle* D. and her daughter Rachel*. a safe, nurturing refuge from an abusive marriage. 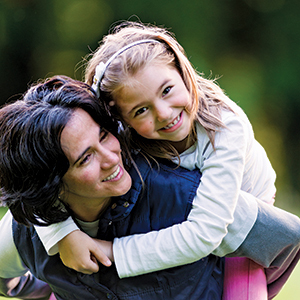 With the expert help she needed, Michelle created the family life she always dreamed of. Thanks to the vision of Debbie Findling and Abby Porth, the beautiful Memory Garden is the nation’s first Jewish sacred space for unexpected loss of a pregnancy or baby. Dr. Friedman was honored for her visionary leadership in health and human services and innovative social enterprises across the Bay Area. JFCS Meal Delivery Services provide kosher meals for seniors, people with disabilities, and others in need. The program also provides much needed companionship and support to isolated individuals.